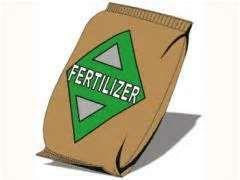 Contains large amounts of Phosphorus for good root development. Comes in a 50 lb white bag. - Nitrogen 10 - Promotes green color. - Phosphorus 20 - Critical for good root development. - Potassium 10 - Critical to plant stress tolerance. * Please call us with any questions about our fert 10 20 10 starter 50 rentals in Oak Grove MO, Blue Springs MO, Independence MO, Lexington MO, Odessa MO, Independence MO and Western Missouri.